PRAY. One of the best ways to support the students and leadership at NOLA Wesley is to keep us in your prayers. Please pray for the students attending Loyola and Tulane Universities, for the faculty and staff at both schools, and for the staff and student leadership. SERVE. 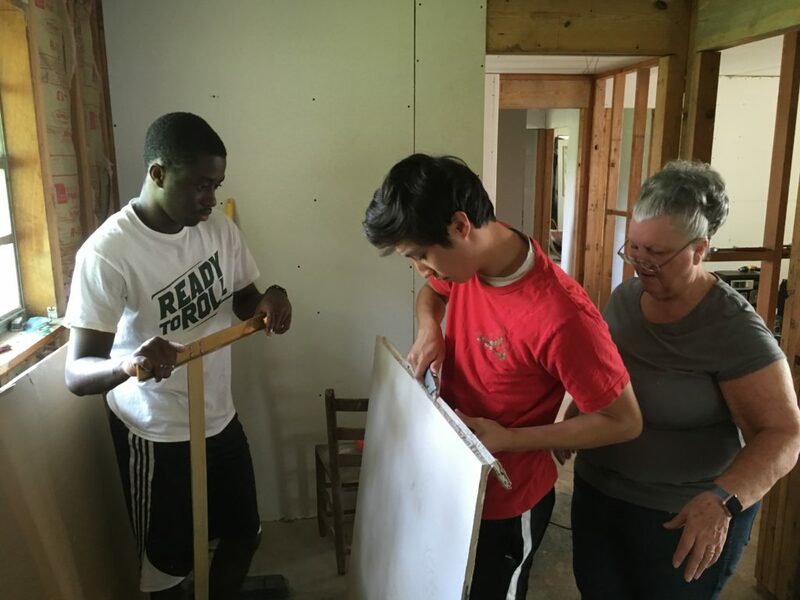 There are many ways to serve the ministry at NOLA Wesley. Meals – Each week, Wesley feeds 20-25 students dinner on Sunday nights and provides snacks and drinks in our study lounge. If your church, Sunday School Class, United Methodist Women, United Methodist Men, or other group would like to provide a meal or support our snack ministry, please email us at nolawesleyumcc@gmail.com. Board of Directors – NOLA Wesley is supported by an amazing group of individuals who serve on our Board of Directors. This group is committed to seeing NOLA Wesley succeed in fulfilling our core values of offering an open table and safe space in the hopes for changed lives and a transformed world. Board members also serve on committees, such as trustees, finance, and personnel, and fundraising. If you are interested in being a member of our Wesley Board, please email us at nolawesleyumcc@gmail.com. DONATE. NOLA Wesley is only able to minister to the students of Tulane and Loyola through the generous support of the Louisiana United Methodist Conference, several New Orleans area congregations, and individuals like you. Thanks to your support, we are able to maintain a first-class facility which includes not only a worship space but also a community center, student lounge, music venue, and residential community. If you would like to help us share the good news of Jesus’ inclusive, life-changing love with our students, there are currently three primary ways to donate. You can become a monthly patron through Patreon – no amount is too small! We currently have 52 monthly patrons pledging a total of $1,158 a month. If we are able to reach $2000 in monthly pledges, it will enable us to focus our energy on ministry rather than fundraising. This is the most financially-sustainable choice to support NOLA Wesley! Or you can make a one-time donation through PayPal. Or you can write a check to “NOLA Wesley” and send it to: NOLA Wesley, 7102 Freret Street, New Orleans, LA, 70118.